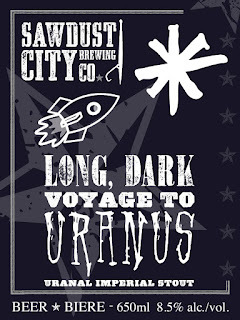 The Sawdust City Brewing Co.: It's Baaaacckkk! Or better yet...It's in the Baccckkk! It's Baaaacckkk! Or better yet...It's in the Baccckkk! Well it's a new year, 2012 has come and gone like a fart in the wind. So let me get out in front of this issue and address the 43,587 lb gorilla in the room, no we do not have a building. If you take a look up to the title of this here blog, it most definitely says, The Dust Will Fly in 2012...we'll that didn't so much happen. But we are working on it, my gosh are we working on it....I promise you that. And I'm gonna go out on a big ol'limb here and make a truly bold prognostication...The Dust Will Fly in 2013! You heard it here first folks. I'm that confident. So there you have it, the future has been told! Now just sit back, relax, grab a beer and watch while it all conveniently folds out in front of you....EXACTLY ACCORDING TO PLAN! That's right, according to plan, and speaking of plans, we gots lots of plans for this here 2013, just check out these events and happenings that we already got lined up for this very new year. The Whiskey Barrel Aged version should be ready in about a month, but the "straight up" Uranus should be hittin' yer local beer pubs any day now, in fact, a few casks have already gone out. 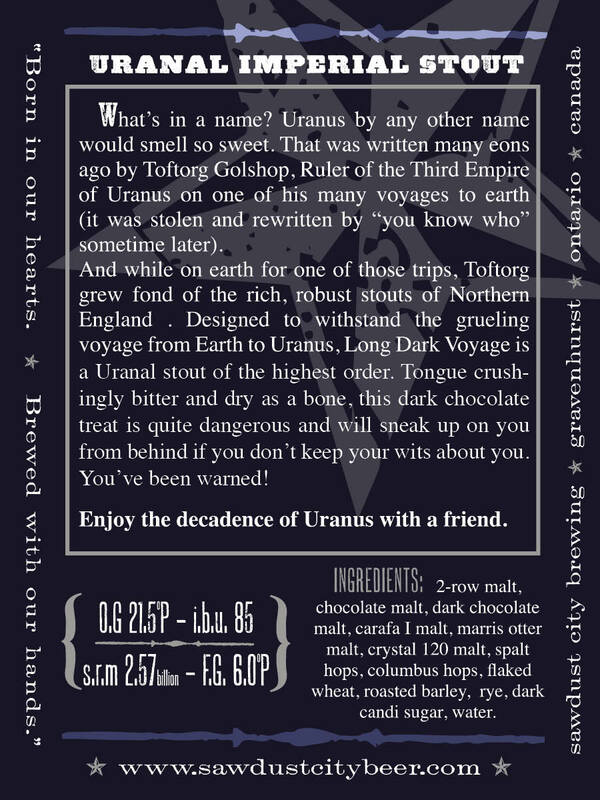 Along with said casks, we'll also have kegs and bottles available, so keep an eye out and be sure to ask for a pint of Uranus. 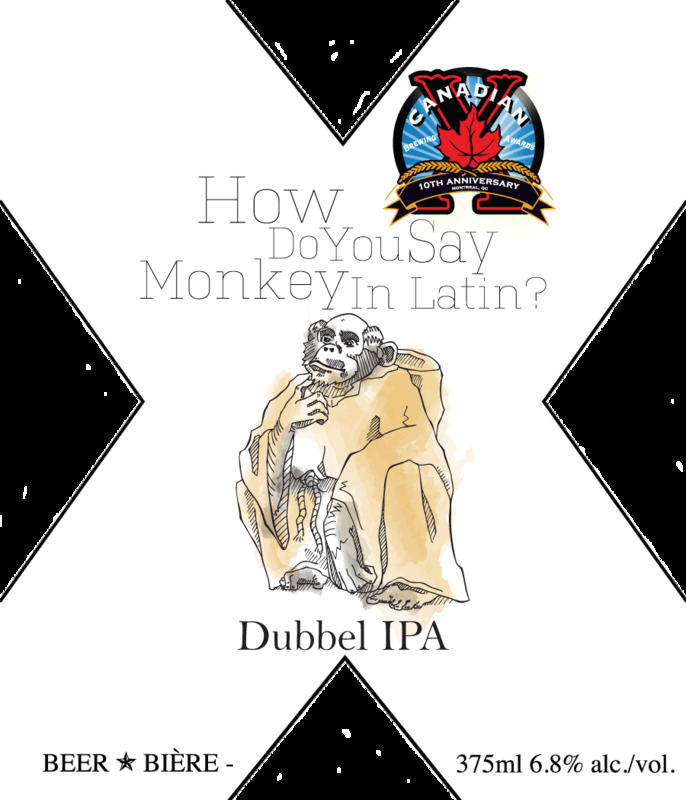 A cross between a Belgian Dubbel and an American IPA, How Do You Say Monkey in Latin? was a hit, and Frederick Tremblay, Brewmaster and President of Microbrasserie Charlevoix like it so much that he invited me out to his brewery to brew the 2013 version of How Do You Say Monkey in Latin? Needless to say, I'm pretty excited. Not only is Frederick an all around nice guy, but he's also a fantastic brewer so any chance I get to see him in action is an amazing opportunity. 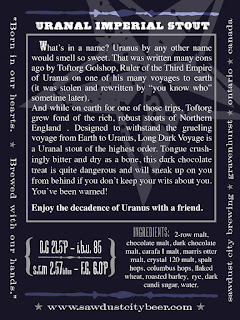 Now, I'm not sure of the legalities of bringing beer back from Quebec, but I'm guessing you may see a keg pop up somewhere in Ontario in 2013! Like I said, it's still a very new year and lots of events are still popping up, even as I type this I got a text from Fabian and it looks like we'll be taking part in The Only Cafe Winter Fest on Friday, Feb 22...now that's "real time" for ya folks! Unless of course your reading this post at a much later date, in which case it's very, very old news....whatever. Point is, things are happening, so keep an eye on our blog, facebook and twitter feeds for more updates!